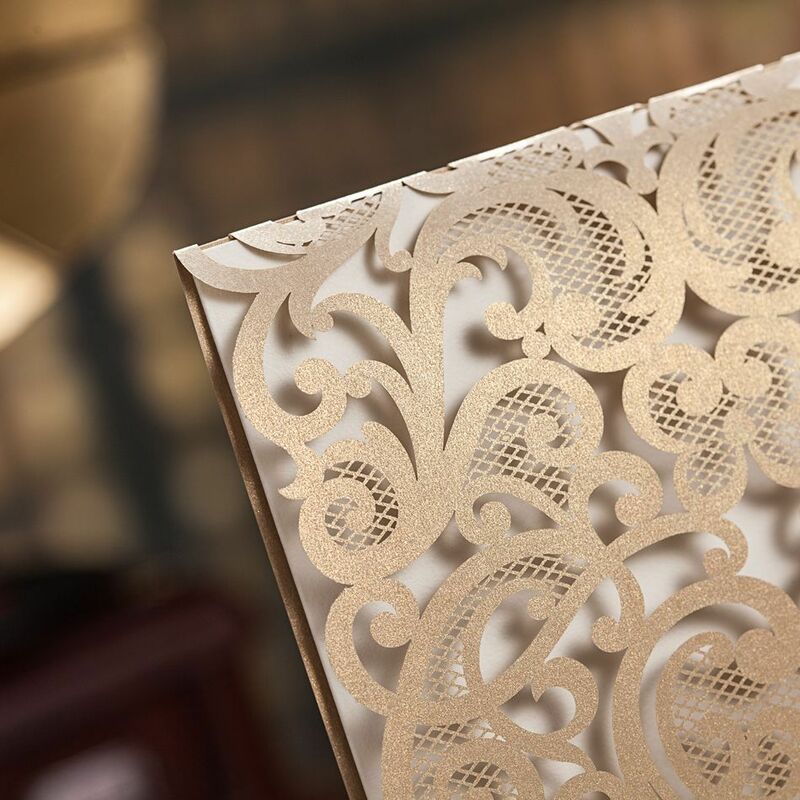 Our Almas Pocket Invitation is a perfect wedding card if there are more than one inserts required. Made from our popular 290gsm ivory shimmer board this pocket card opens as portrait and has Islamic verse and Bishmillah symbol stuck on middle section of invite. Mounted inserts sit inside the bottom pocket which is embossed in a gold floral design, the card front has double colour satin ribbon finished with a stunning diamante and pearl embellishment. Please ask for colour options for ribbons and pocket card, we also have a wide selection of embellishments to choose from.